If you are new to website development (or getting back into it after a long hiatus like myself! ), then using the right type of web platform will be crucial for your business. There are certainly many different types of web platforms available, each with their own advantages. However, WordPress offers many advantages (such as beautifully developed themes from Theme Forest) that are perfect for those new to web development. This is because the very nature of WordPress is one of being built for beginners while offering features for the advanced web developer as well. Every day, thousands of new businesses are getting off to a great start using WordPress as their platform for a number of reasons. Arguably what made WordPress so famous in the first place was the user-friendly nature of the overall web platform. The visual editor is simple, easy to understand and delivers time and time again when it comes to creating the type of web platform that you want. The CMS (content management system) is also being constantly improved to provide new features that will make anyone who had to deal with another type of web platform sigh with relief when seeing just how this works so smoothly. In fact, you can easily paste your content from Word to WordPress with just a swipe and a click. There are certainly many companies that claim to be free and open sourced, but many of those have hidden fees or particular agendas that undermine that claim. However, WordPress remains the same no matter your success. Basically, no matter how big a website grows, you will still have access to all the same code. There are no fees or “gotchas” built into the process. Yes, some plugins such as eCommerce shopping carts may have fees associated with them, but the core WordPress service is free for everyone. Although WordPress can be installed quickly, it is also one of the most secure platforms around. New updates for security can be easily installed and there is even a single-click upgrade available so you can have the latest security measures added with just one click. While having a backup plugin is also recommended just in case something should go wrong, the fact is that security is one of the top priorities with WordPress. 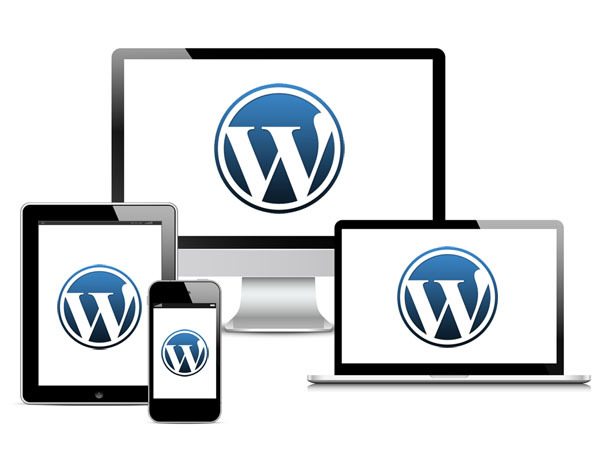 With WordPress, the system is so unique and easy to use that it is simple to customize from many of the pre-existing themes that can be found on the web or even included with the site. Because the themes are open-sourced, you can purchase and download them quickly and then modify to whatever is needed by you or your client. Plus, because themes are independent from the content, you can swap them out whenever you want to freshen up the appearance of your site. My favourite source for WordPress themes is Theme Forest. There are literally thousands and thousands of themes available, which will see overwhelming at first, but try to use the search and tag features to narrow down to what you’re looking for. An important note as well, if you or a developer are going to make changes to an installed theme using the WordPress Editor, please make sure to backup your site prior to making any changes. Yes, it takes time, but you never know when something may go wrong. To sum up, if you’re looking for a user friendly solution for website development and management, please consider WordPress. It has easily become the most widely used CMS on the internet and is supported by all the big players in the industry.